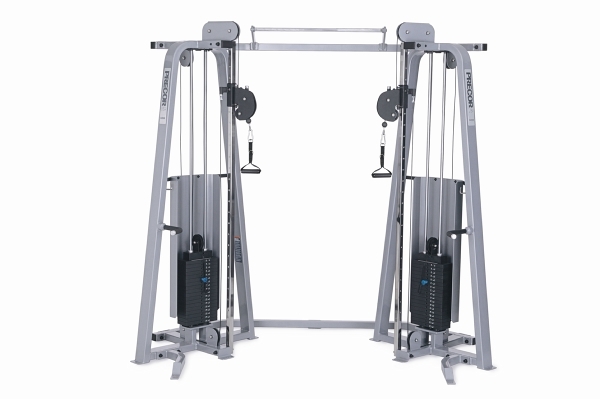 The Icarian® FTS Functional Training System is a highly flexible apparatus ideal for functional strength training. Literally dozens of upper and lower body exercises can be performed. The FTS Functional Training System is of the highest commercial-quality construction, using a durable cable-and-pulley design for application of resistance, captured inside the signature Icarian 2x4-inch (50 x 100 mm) bent-steel frame construction. The adjustable pulley carriages permit users freedom of movement. The adjustments are intuitive, simple and easy to use.